Jayme Closs was kidnapped after her parents were killed, police said. 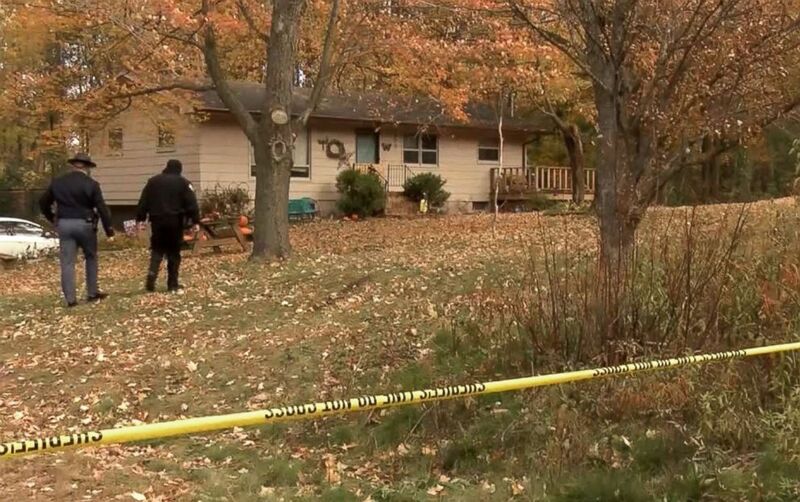 A missing 13-year-old Wisconsin girl kidnapped after her parents were found murdered in their home last October has been found alive, police say. Jayme Closs was reunited with family members Thursday night, police said. She was found in Gordon, Wisconsin. Jayme's aunt and godmother, Jennifer Smith, told "Good Morning America" Friday that they would be reunited after Jayme is released from the hospital in the afternoon. "I hear she's doing great and getting rest right now," said Smith, who added she'll be meeting with FBI investigators Friday to learn more details. "All I know is that she escaped from where she was being held, saw a lady walking a dog and ran to the lady asking for help." The woman who found Jayme -- who asked that her name not be used -- walked with Jayme to the home of Peter and Kristin Kasinkas, who offered Jayme food and water and called 911, according to the Minneapolis Star-Tribune. 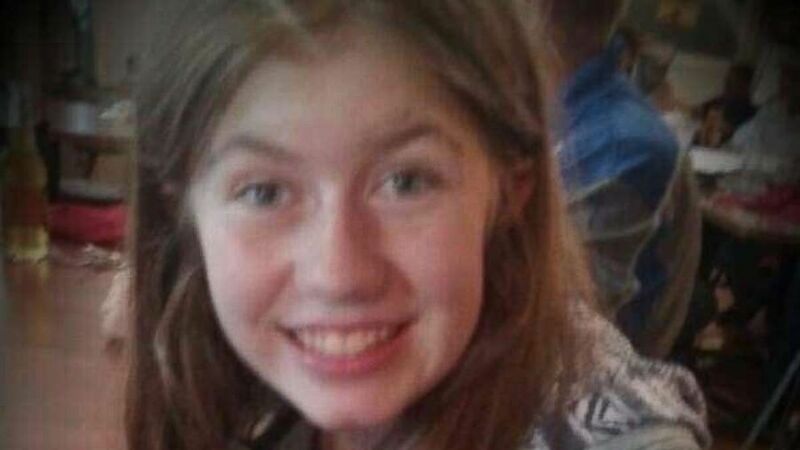 (No credit) Jayme Closs, 13, who was kidnapped after her parents were murdered has just been found alive, police say. January 10, 2019. "We are just happy everyone kept praying and didn't give up hope, like we didn't," Smith told ABC News Thursday evening. "A lot of happy tears in this house tonight." A suspect has been taken into custody, the Barron County Sheriff's Department said in a news release. Police did not release any other details about the arrest but did say a citizen phoned in the information that led to Jayme's discovery. "We thank everyone all around for their help," Smith said. Authorities have scheduled a press conference for Friday at 11 a.m. ET to discuss the case. "We want to thank the Douglas Co. Sheriff's Department and agencies assisting them tonight. We also want to thank all the Law Enforcement agencies across the state and county that have assisted us in this case. We also could not have endured this case without the support of the public and I want to thank them for all the support and help," police said in a statement. 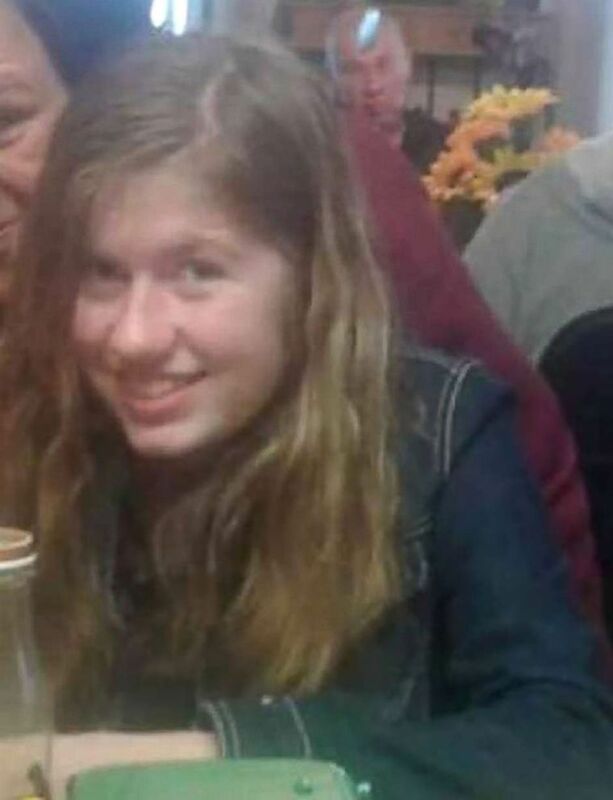 (Barron County Sheriff's Office) An undated photo of missing 13-year-old Jayme Closs of Barron, Wisconsin. Investigators believe Jayme was abducted Oct. 15 before dawn, after her parents, James and Denise Closs, aged 56 and 46, were gunned down in their home in Barron. Police responded to the house after a strange 911 call just before 1 a.m. local time when someone called from Denise Closs' cellphone, and the 911 dispatcher heard "a lot of yelling," according to records from the Barron County Sheriff's Department obtained by ABC News. The dispatcher called the number back but was unable to leave a voicemail. (ABC News) Authorities at the home of James and Denise Closs, found dead on Monday in Barron, Wisconsin. Their 13 year-old daughter Jayme Closs was missing. When authorities responded to the home minutes later, they found the front door kicked in and the couple shot to death. Jayme was believed to be home when they were killed, but she was missing by the time authorities arrived. 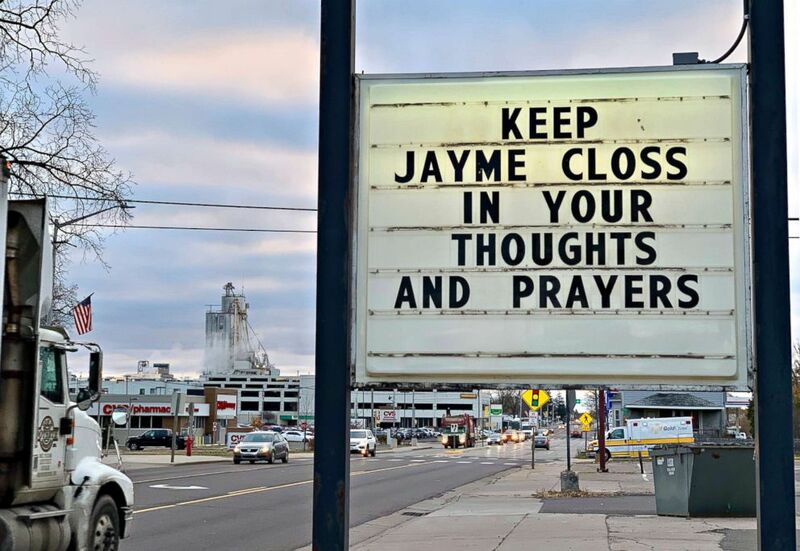 (Jeff Baenen/AP Photo) A sign is seen in the small town of Barron, Wis., Oct. 23, 2018, where 13-year-old Jayme Closs was discovered missing Oct. 15 after her parents were found fatally shot at their home. A search was being organized to find the couple's missing daughter. A $50,000 reward had been offered for any information leading to the discovery of Jayme. Half the reward was put up by Jennie-O Turkey Store, a turkey hatchery and processing plant where Jayme's parents worked. ABC News' Emily Shapiro, Morgan Winsor and Katie Conway contributed to this report.